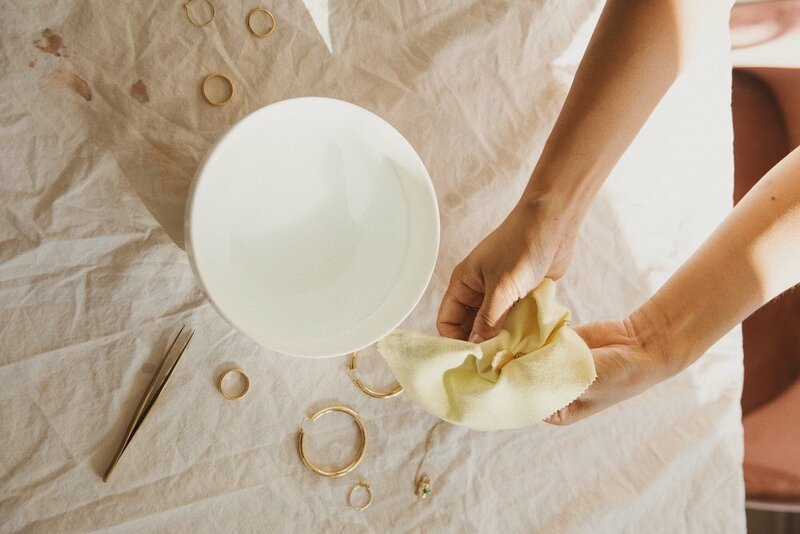 Cleaning your jewelry is as easy as pie (actually it's much easier than making pie!) Depending on what you have at home, you don't need to put much time or effort into cleaning your favorite pieces. Step 1) Mix 1 part dish soap with 10 parts warm water. Mix your solution until slightly bubbly. Step 2) Depending on how dirty your pieces are, you may soak it in the mixture for about 20 minutes. Use a soft bristled tooth brush to brush away any debris (such as lotion or oils). Step 3) Rinse jewelry in fresh clean water and dry with a soft towel. Step 4) Use a polishing cloth for extra luster. 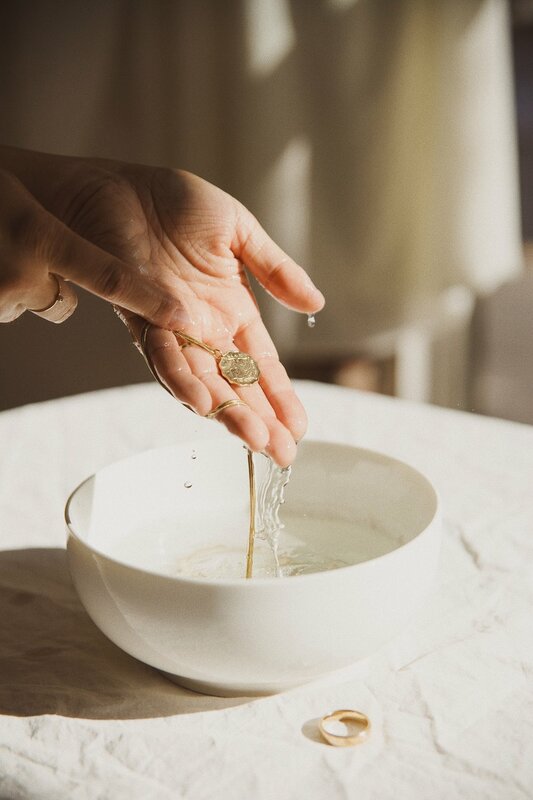 Create your own jewelry cleansing solution with mild soap and warm water. (I use dish soap at home) You can soak your jewelry overnight but do not soak soft gemstones such as emeralds or opals. For more durable pieces that are pure gold or diamonds, you may even soak your jewelry in soda water. Dip your jewelry in the solution and even brush with a soft bristled tooth brush to get into the nooks and crannies. You may also rub the jewelry between your fingers for slight friction if you don't have a brush. Rinse pieces in clean water. Make sure there is no soap residue. 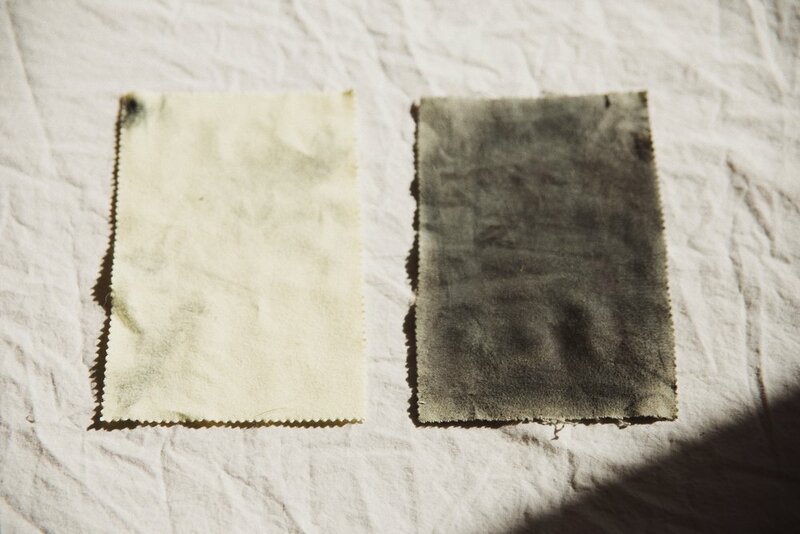 After rinsing your jewelry in fresh water, pat dry with a towel. Make sure your jewelry is completely dry, especially on gemstones such as emeralds or opals. You can add extra luster to your metal with a jewelry polishing cloth.